Mr.Cormier has had a long and distinguished political career in the Province of New Brunswick during which he served as Minister of Education, Member of the Legislative Assembly and Mayor of Dieppe. Mr.Cormier sits on the boards of numerous educational, professional and service clubs; he is a member of the Board of Management of the Memramcook Institute, Executive Member of the Catholic Archdiocese of Moncton, Founding Member of the Dieppe Rotary Club and Founding President of the Optimist Club of Dieppe. He is a former Board Member of the National Parole Board of Canada and former Member of the Board of Governors of the University of Moncton. In 2002, Mr.Cormier was recipient of the Golden Jubilee medal from Her Majesty the Queen in recognition of his lifelong commitment to community services. He worked as a Probation & Parole Officer for the County of Restigouche and Classification Officer at the Dalhousie Jail (1974 - 1976). In 1993 - 1994, Mr. Maltais acted as a Consultant for the creation of a rehabilitation program for inmates at the Dalhousie Jail. From 1977 to 1995, he was employed as a Social Worker (Addictions Counselor) by the Alcohol and Drug Dependency of New Brunswick. At this time Mr. Maltais was responsible to coordinate and implement programs that would be best suited to the participants in the In-House Residential program for alcohol, drugs and gambling addictions. Mr. Maltais was also recognized for his expertise in various stress reduction programs. He assisted School Counselors with the creation and development of Peer Counseling programs that were intended primarily to be preventive towards the use and misuse of alcohol and drugs. In 1995, Mr. Maltais became a teacher of the Transcendental Meditation. He is presently the Director of the Regional Office for Maharishi Enlightenment Center in Moncton, N.B. Three times nominated for an Alberta Excellence in Teaching award, Rhonda has taught English, Drama and Performing Arts at Jasper Place High School in Edmonton for 20 years. She spearheaded the publication of Rebel Runes, JP's literary magazine, which achieved the highest awards in the country for its literary excellence. Rhonda's devotion to inspiring the inner potential of every student drives her desire to teach in a stress-free school. Dr. Deans is a quantum physicist, lifelong educator, and director of the award-winning Maharishi School (K–12) in Fairfield, Iowa, where students and teachers practice the Transcendental Meditation® technique as part of its “Consciousness-Based” curriculum. The school graduates ten times the national average of National Merit Scholar Finalists, has seen 95% of graduates accepted at four-year colleges, and has had grades 10–12 consistently score in the top 1% of the nation on standardized tests of educational development. The school has no entrance exams and offers open enrolment, accepting students from a wide diversity of backgrounds. Dr Gagné is Coordinator of the Teaching and Continuous Medical Education Program in LaSalle. He is a Fellow of the Royal College of Surgeons of Canada and is an expert in the health benefits of the Transcendental Meditation technique for children and adults. Leo has 35 years experience as an educator and administrator in B.C.’s post-secondary education system — including 20 years as president and CEO of Selkirk College in Castlegar, B.C. He also served as vice-principal and acting-principal of Cariboo College. In addition to his extensive management and administration experience in the education system, Leo has served in many capacities on provincial and regional committees. Among his many recognitions and awards, Leo has been honoured with the Order of British Columbia (2001). Dr. Erica Reznick, Ph.D., R. Psych. 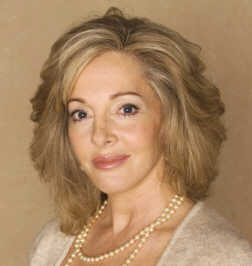 Dr. Erica Reznick is a Clinical Psychologist and Collaborative Law Divorce Coach in private practice in West Vancouver. She has worked with individuals, couples and families in general practice for over 15 years. While drawing from a wide range of therapeutic modalities, Erica approaches her work holistically, addressing the cognitive, emotional, social and spiritual dynamics of change and experience. She is also a writer and director of the Garbha Institute, formerly known as the Diamond Heart Foundation. Her areas of interest and dedication include spiritual psychology, separation, divorce and remarriage, emotional intelligence training and Consciousness-Based Education. Director of The Reading Foundation, a private remedial reading clinic in Calgary, Alberta, which he started in 1990. This highly successful clinic was the first of its kind in Canada. Prior to that, he was a consulting school psychologist for 14 years. During that time, he did daily work in the diagnosis and remediation of learning and behavioral difficulties. His experiences led to the writing of The WISC-R Companion; The WISC-III Companion and, in 2006, The WISC-IV Companion. Steve’s commentary and interpretation of the popular WISC test (Wechsler Intelligence Scale for Children) have made his books popular in the field of school psychology. Prior to becoming a psychologist, Steve taught junior high school language arts for a number of years. He is also the author of The TM Technique and the Art of Learning (1976); Teacher Burnout and What to Do About It (1980) and The Missing Parts of Whole Language (1990). André Fleurant B.A., Psy Ed.